give it a soft kiss. In my experience, most karate-ka practice kata exclusively within the Dojo. Their sole sojourn outside of the Dojo is the floor of a tournament venue. By remaining within these sterile, static environments, karate-ka deprive themselves of the most wonderful kata experience, to wit: kata in nature. Practicing kata in nature opens the door to what I call the environmental aspect of kata bunkai (analysis). This aspect relates to understanding the connection of the kata, and the performer to the natural environment. Each (environment & performer) affects the other through the performance of kata. The environment affects the manner and feel of the performance. Conversely, the performer leaves his mark on the environment via the performance; “footprints in the sand”, if you will. The purpose of the within Kata Lab is extremely simple – experience your kata outdoors. Experience, understand and absorb your kata outside of the sterile, static Dojo environment. How does a jacket, hat or gloves affect kata? Does wearing winter boots differ from summer sandals, if so, how? performed in a park, on a grassy hillside? performed in a city parking lot with gravel, noise and observers watching you? performed in the darkness of night versus the light of day? ultimately you are one intertwined with your surroundings. 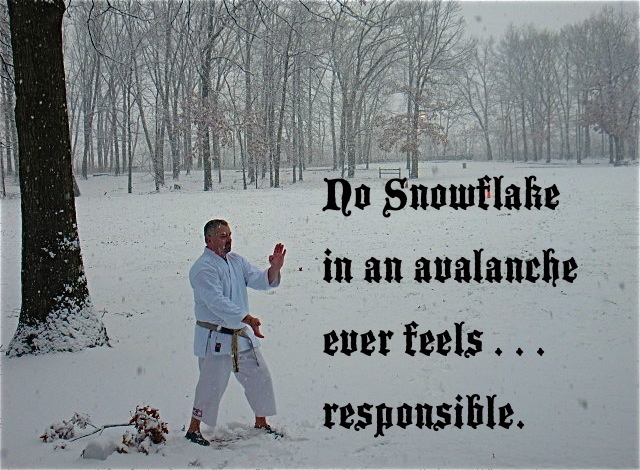 Practicing kata outdoors in nature initially serves a martial purpose – you may have to defend yourself outside the Dojo, in adverse conditions (ice, sand, hot, cold, windy conditions). Therefore, it is prudent to practice such defense in those conditions. Because of your experience, you begin to understand the impact of environmental conditions upon your kata. Eventually, you come to understand, via the kata, how you interact with your environment and it interacts with you – this is the environmental aspect of kata. 1. “Nature Lesson for Sheila“, from: Rhodes Dennis, Spiritus Pizza & Other Poems, (Video Links Media, Provincetown, MA 2000) p. 95. 2. “Hubris“, Id. P. 71. Our emotions are the most identifiable aspect of our spiritual state of being. Daily events routinely shape and alter our emotions. We can also directly modify our emotions from within. Most of us seek to suppress negative emotions in the hopes that a positive emotional state will manifest. This kata lab uses kata to modify emotions, not by repressing them, but by acknowledging and expelling them so as to embrace a more positive emotional state. Kata is uniquely capable of serving as an emotional modifier. The bunkai (analysis) of this phenomenon of kata is a foundation for understanding the spiritual aspect of kata. (See Endnote # 1) This edition of the kata laboratory utilizes my kata deconstruction procedure explained in Kata Laboratory # 2130 to explore how kata can modify our emotional state. It is therefore necessary for you to be familiar with the kata deconstruction procedure. There is a link to the article provided above and a video below. I submit that certain kata, due to their essential qualities, are natural emotional modifiers. Examples of such kata include, but are not limited to, my Sacred Trinity of Kata (Sanchin, Seienchin, and Suparunpei), Hakutsuru, Gekisai, Kanto and others. All kata; however can be utilized to modify emotions. See Endnote # 2) The kata deconstruction technique provides an excellent platform upon which to construct bunkai (analysis) of the spiritual aspect of any kata. Once you begin to understand the manner in which kata modifies emotions, you open the door to understanding the spiritual nature of kata. Emotions functions as the gateway to understanding this spiritual state. The general method is very basic. In my experience, I find that while this method is fun, it is extremely fundamental. As such, I have relegated the exact methodology of this procedure to Endnote # 3. The Targeted Emotional Deconstruction is more difficult and requires more advance preparation than the general method; however, the benefits of performing this deconstruction protocol are profound. In this type of deconstruction you start with an emotion, and progress through the kata deconstruction so as to end with the opposite of that emotion. The emotion you commence with would be representative of your emotional state at the time of practice. For example, assume that you have had a difficult day and are aggravated. To start the procedure, you would take the state of aggravation and expand it to its highest emotional state. In the example shown below, this state may be represented by an emotional state of fury. This step is crucial in so far as it does not repress your negative emotional state; rather it, acknowledges and expands it. This allows you to fully acknowledge the emotion so as to ultimately dispel it. You would then identify the opposite of this state so as to target the desired ending emotional state. In this example, tranquility would represent a desired state opposite to the state of fury. You then deconstruct the kata so as to work your way through the range of emotions between fury and tranquility. The table below provides an example using the eight sequences shown in the deconstruction of Gekisai kata. Targeted Emotional Deconstruction – using the state of aggravation as the existing emotional state, the following example starts with the emotion of fury and ends with the emotion of tranquility. The chart below uses the eight sequences of Gekisai Kata identified in the video example. As you gain proficiency in this technique, you no longer have to perform the kata as deconstructed. Eventually, you can perform the kata within the traditional pattern and express the various emotions as you do so. 5. Now, perform your kata, deconstructing each sequence. As you progress through the sequences, perform each sequence so as to symbolize each emotional state. To the casual observer, your emotional state associated with each sequence should be readily apparent in the manner in which you perform the sequence. 6. Repeat as often as you like, experimenting with differing emotions and different kata to see how kata affects your emotions. Using my kata deconstruction method to explore the manner in which kata can modify your emotions has direct, positive and tangible effects. It also has intangible benefits awaiting your discovery. your understanding of the above acs as a foundation for your continued exploration into your spiritual state of being. most importantly, you begin to practice kata bunkai (analysis) in both the physical state and the spiritual state. First, the spiritual bunkai of kata does not refer to religious, or supernatural states. Rather, spiritual bunkai refers to the method by which kata affects internal non-physical process which include, but are not limited to emotions, states-of-mind (mushin, zanshin, nenjuushin and the likes) and internal states of awareness. Second, exploring the spiritual bunkai of kata is markedly different from exploring the physical bunkai of kata. One area of divergence is that physical bunkai always requires a partner whereas spiritual bunkai need not require a partner, but always requires visualization. environmental state – to destroy your preconception that you exist independent of your external environment. Each and every time you perform Gekisai (or any other kata) you are simultaneously present in each of the above three states. General Emotional Deconstruction – the following example illustrates the wide variety of emotions that can be used in the deconstruction process. The emotional range is limited only by the imagination of the performer. The chart below uses the eight sequences of Gekisai Kata identified in the video example. 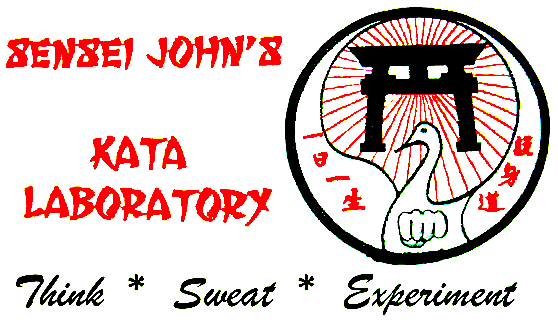 For those readers who have no experience with the spiritual bunkai (analysis) of kata, the following kata laboratory identifies a very simple means to practice kata so as to introduce you to the topic. Please remember that spiritual bunkai of kata does not refer to religious, or supernatural states. Rather, spiritual bunkai refers to the method by which kata affects internal non-physical processes which include, but are not limited to emotions, states-of-mind (mushin, zanshin, nenjuushin and the like) and levels of awareness. Exploring the spiritual bunkai of kata is markedly different from exploring the physical bunkai of kata. One area of divergence is that physical bunkai always requires a partner whereas spiritual bunkai need not require a partner, but always requires visualization. One of the most basic means of stimulating our state-of-mind is to recollect past memories. We can readily recollect these memories while they remain fresh in our minds. As time progresses, or as we involuntarily “choose” to suppress them, such memories are not so easily recalled. During my years as a trial attorney, I had many opportunities to confront uncooperative witnesses. At times, these witnesses could not recall past events. It was my obligation to refresh these witnesses recollections as to what they had experienced. Refreshing recollection could come in the form of sounds, smells and any other sensory-based stimulus. There is; however, one form of refreshing recollection that lay outside the legal boundaries of a trial, using kata to refresh recollection. things – (unique physical objects associated with a kata) (See Endnote # 4). 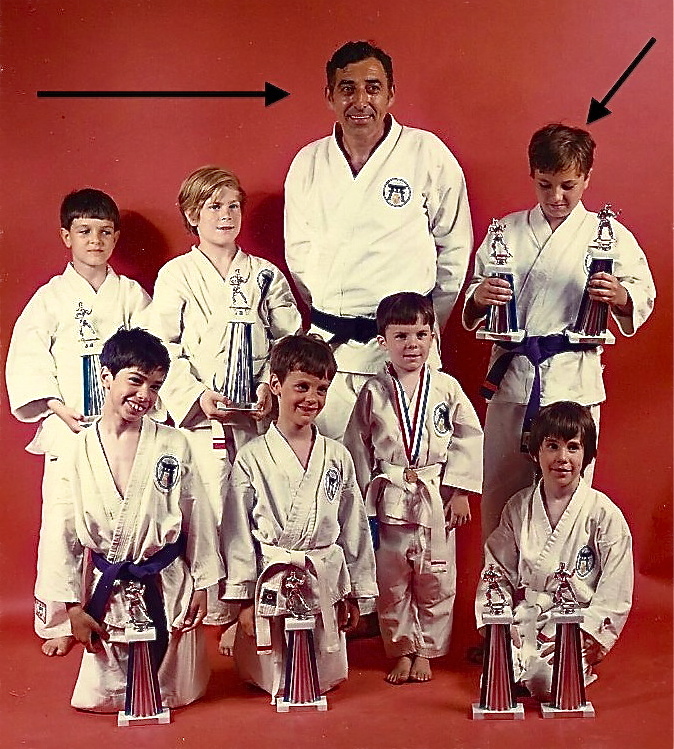 events – (tournaments, funeral ceremonies, memorials, rank tests wherein the kata was performed) (See Endnote # 5). 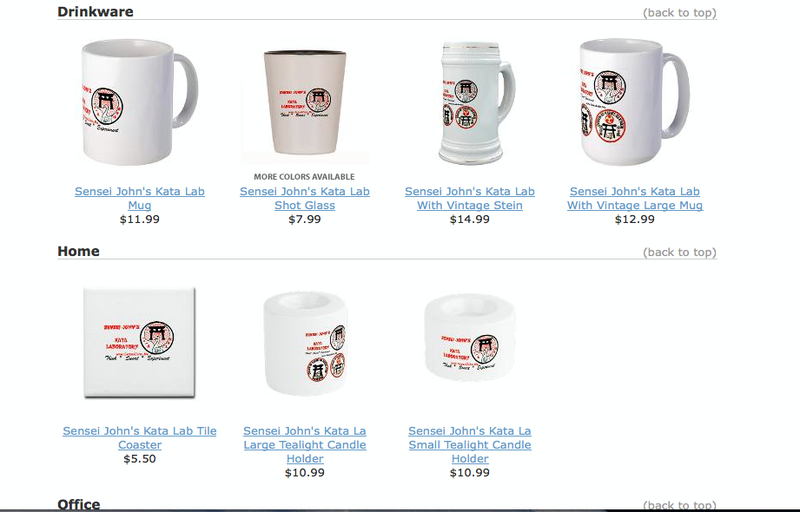 To this end, I submit the following Kata Laboratory. 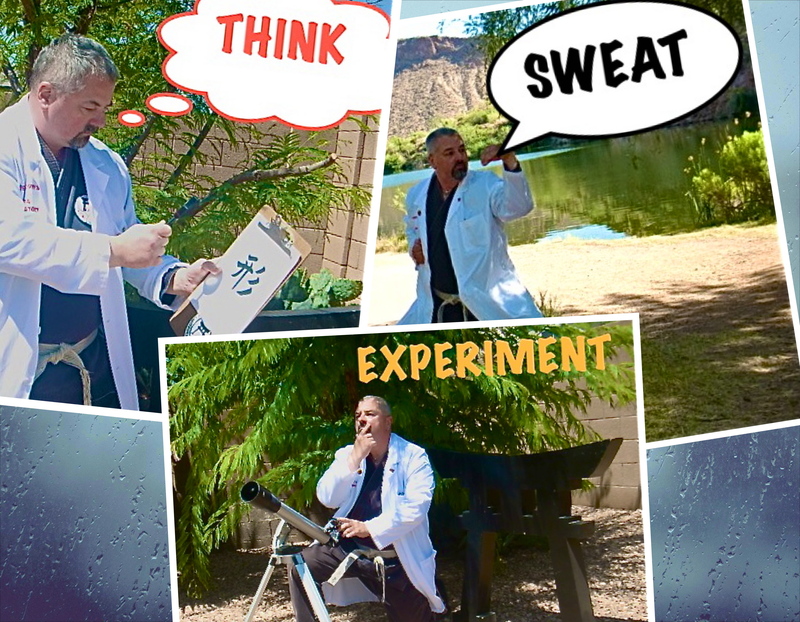 The following is my procedure to experiment with kata as a means of refreshing your recollection. It allows you to begin to experience kata not as a physical endeavor, but as a spiritual art. 1. Prior to kata practice, think about a person, place, thing or event associated with the kata. It helps immensely if the memory is directly linked to a specific kata. The above examples may help you choose such a memory. 4. After concluding the kata session, remain in a state of zanshin (remaining mind); however, do not remain in a state of mind as to the kata, rather, remain in zanshin as to your refreshed recollection. Provides a foundation for incorporating more advanced spiritual bunkai (analysis) of kata. 1. Nietzsche, Frederich, Beyond Good And Evil, Maxims and Interludes, Maxim number 68.